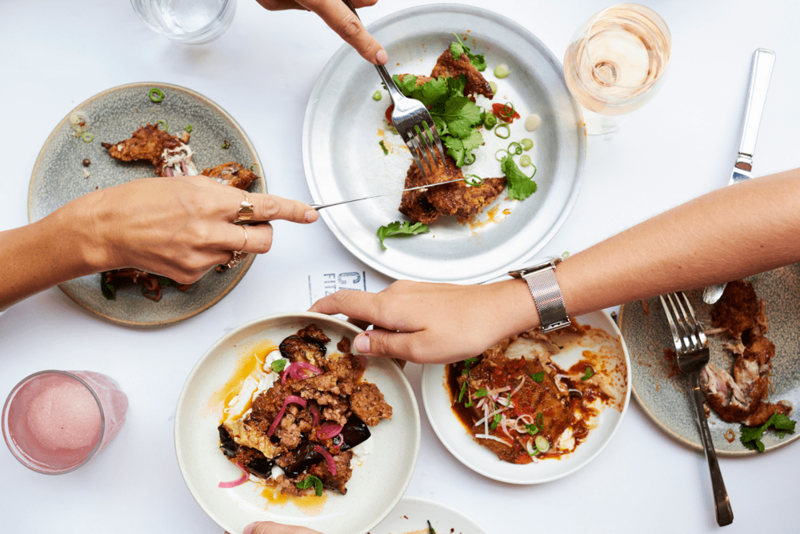 HOUSED IN THE STUNNING FORMER BBC RADIO 1 HQ IN THE HEART OF CENTRAL LONDON, WITH A SECRET RECORD ROOM HIDDEN DOWNSTAIRS, CARAVAN FITZROVIA OFFERS SIGNATURE ALL DAY DINING AND ‘WELL TRAVELLED’ FLAVOURS FROM MORNING TO NIGHT. THE MAIN DINING ROOMS ARE LINED BY A BUSTLING COCKTAIL AND COFFEE BAR AND DEFINED BY BLUSH BRICK SCREENS. OUR DEDICATED TAKEOUT SPACE OFFERS OUR NEWLY DEVELOPED RANGE OF HOUSE MADE LAMINATED DELIGHTS, CREATIVE CROISSANTS, BAKED GOODS, SOURDOUGH SANDWICHES, HEALTHY SALADS AND OUR HOUSE ROASTED CRAFT ESPRESSO & FILTER COFFEE – ALL TO GO! JOIN US FOR WEEKDAY DINING, WEEKEND BRUNCH, COCKTAILS, PRIVATE HIRE, AND EVERYTHING IN BETWEEN, ALL DAY, EVERY DAY! At the weekend, we take brunch bookings of any size. Breakfast: 07.30am - 11.30am Mon-Fri. All day menu: 12noon - 10.30pm Mon-Fri & Sat from 5pm. Brunch: Sat & Sun 9am - 4pm. Saturday & Sunday: Baked goods & coffee all day 9am - 4pm.